Get fashionable designer frames to suit your style and budget. Experience our comprehensive affordable contact lens program. Trust the health of your eyes to an experienced optometrist. As your optometrist in Calgary, Focus West Optometry serves the West Hills and the city’s surrounding areas. Since our founding in 1997, we aim to protect and promote the ocular health of our patients — from their first examination at six months of age and all the way through their senior years. Focus West Optometry is a full-service practice. We offer comprehensive eyes exams, utilizing the latest diagnostic technologies to detect vision abnormalities and signs of ocular disease. We can also serve a vast majority of your vision needs, such as distance-related vision irregularities, post-eye trauma care, prolonged vision strain, changes in vision, and other conditions requiring treatment from an optometrist. Calgary patients are invited to call Focus West Optometry to schedule an appointment. New patients are always welcome! Focus West Optometry aims to deliver a wide range of options in correcting vision deficits. These include prescription sunglasses, frames and lenses, as well as a variety of contact lenses — including the multifocal, astigmatism, colour, spherical contact lenses, and other varieties. 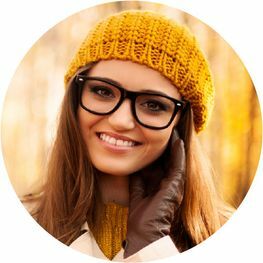 Clients come to us because they trust in our expertise and appreciate our wide variety of options for contact lenses and eyeglasses – we have everything from designer frames to multifocal disposable contacts to task-specific eyewear. Whether it is for the latest in fashion frames or the most advanced contact lens technology, our friendly and knowledgeable staff can answer all your questions. We welcome new clients and all our current patients to visit us with their current prescription. Just drop by; no need for an appointment. Let us help you 'see' the new you!